In today’s day and age of internet and big box retailer takeovers, many shoppers forgo visits to brick and mortar stores in favor of comparison shopping for the “best deal” online. Adopting this strategy works for some things, but for ski/snowboard/bike pursuits, forgoing a store visit deprives you of a crucial element: ensured personalization. You can spend hours reading product reviews and “educating” yourself, but when it comes down to gear you owe it to yourself to grab some face time with people who know what they’re talking about and are passionate about making sure you get the ride you’re looking for. San Francisco native Arturo Beyeler and his father have been serving snowboarders and skiers from all over the world since Mountain West opened its doors in 2001. Having been in the industry since 1989 working and managing several shops, Arturo learned the ins and outs and saw an opportunity to provide a specialized combination of products and service neglected by all the shops he knew. The result? 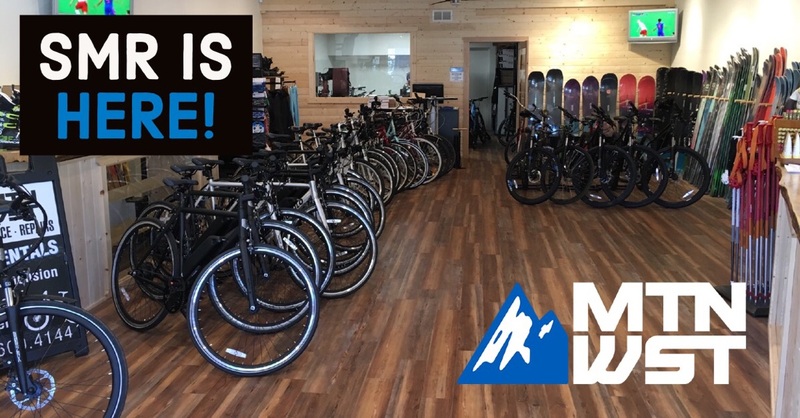 A mid-to-high end ski/snowboard/bike shop with several key factors setting it apart from the other big sporting good retailers. One: custom boot fitting. Finding a pair of ski or snowboard boots is not as simple as specifying your shoe size. In fact, boot size often doesn’t equal shoe size. But there are other things to consider beyond your foot length. Volume, instep and heel pocket variances are are key in understanding which boots to try on. With ski boots, Mountain West specializes in custom boot fitting including shell distortion, liner molding and custom footbeds. The personalized boot fitting agenda here is second to none and employees will spend one-to-two hours with a customer to perfect the fit of a ski boot. With snowboard boots, the evolution and popularity of the sport have given rise to new boot lacing systems and you really need to physically try all three (Boa, Speedzone and traditional lace) to best determine which you prefer. Also of crucial importance is heel grip; heels sliding in and out of your boot is the last thing you want. Armed with a knowledgeable and experienced staff, this is your go-to spot in South Lake Tahoe if you’re looking for precision and speed in getting your gear all set up. Which brings me to the next wonderful thing about Mountain West: the people here are real. You won’t find any sales personnel pressuring you to buy the most expensive package (unless, of course, you’re one of those people that must have the fanciest and newest gear). Most of the product sold in the store has been factory tested by employees so they can give you additional info beyond the magazine ratings and marketing. How many days a year do you ride? Is your riding style aggressive? Be prepared to answer questions such as these when you visit. If you’re the kind of shopper that likes to try before you buy, Mountain West has a stellar demo program. Take a pair of skis or a board out for the day or weekend and test it out. Try another pair another weekend. Now apply the fees you paid for up to two rentals toward the purchase of a brand new pair of skis or snowboard. That’s right, if you participate in the demo program you can apply the charges paid towards up to two of your rentals on any new ski or snowboard in the store until the end of the season. This is a fantastic deal. On the other hand if you don’t feel the need to pay for brand new, Mountain West also sells lightly used demo equipment at a discount of course. 2019 merchandise is just starting to roll in so if you want to check out a full assortment, Fall might be your best bet. If you’re looking for a deal on stuff from the 2018 season, now is a great time to go. Mountain West only carries what they consider to be “pinnacle” brands: Volkl, Burton, Rossignol, Salomon, Libtech, Blizzard, Oakley, Smith, Giro, Jones and Never Summer to name a few. (Over 30 brands in store) You’ll also find gear from smaller and local companies. It’s all about quality here. Also noteworthy: Mountain West carries and demos women’s-specific skis and snowboards, which is very unique. If you are traveling with your gear you will want a bag to stow it all in and Mountain West offers many choices from backpacks to ski and snowboard travel bags. In a nutshell, Mountain West is a full service shop prepared and enthused to meet all your snow sport needs. Whether you’re a novice, expert, timid or aggressive in your skiing or riding, you will find nothing but genuinely passionate and honest experts here who care more about matching you with the appropriate goal-reaching gear rather than trying to make a fast buck.